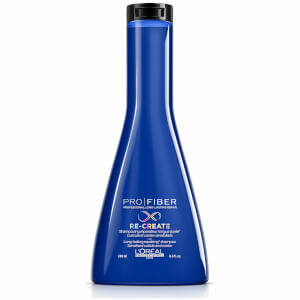 Restore and revive fine, damaged hair with L'Oreal Professionnel Pro Fiber Re-Create Damaged Hair Shampoo. 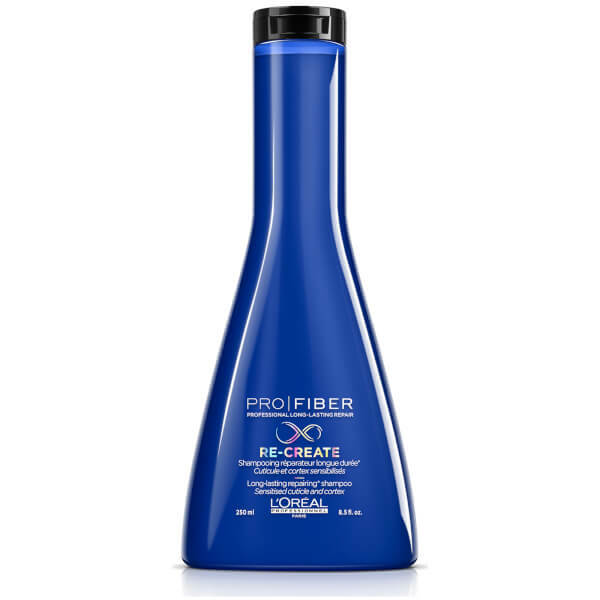 Helping to prolong the smoothing effect of your Pro Fiber in-salon treatment, the innovative shampoo cleanses away dirt and impurities while smoothing and hydrating damaged hair from root to tip. Providing long-lasting care for damaged tresses, it utilises advanced, professional repairing technology to eliminate weakening impurities from sensitised hair fibres. Enriched with nourishing Bergamot and White Amber, the restorative shampoo helps to replenish lost moisture and body while enhancing softness, plumpness and shine without added weight. Weak, damaged hair feels stronger and more resilient. Witness restored plumpness and salon-worthy results. Apply shampoo to wet hair. Lather. Rinse. In case of contact with eyes, rinse them immediately. Aqua / Water, Sodium Laureth Sulfate, Coco-Betaine, Dimethicone, Glycol Distearate, Sodium Chloride, Ppg-5-Ceteth-20, Sodium Benzoate, Salicylic Acid, Polyquaternium-6, Carbomer, Benzyl Salicylate, Benzyl Alcohol, Limonene, Linalool, Hexyl Cinnamal, 2-Oleamido-1,3-Octadecanediol, Citronellol, Sodium Hydroxide, Citric Acid, Parfum / Fragrance. C187377/2.